Sonos is a wireless speaker company that has made listening to your music easy and fun. Now with the new Sonos One with Amazon’s Alexa built in you can control your music with your voice. 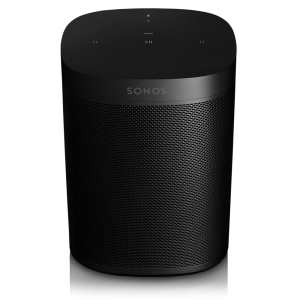 Connect wirelessly to other Sonos Home Sound System speakers to play music in any or every room. Seamless all-black or all-white color with a smooth matte finish for an appearance that fits in any home.